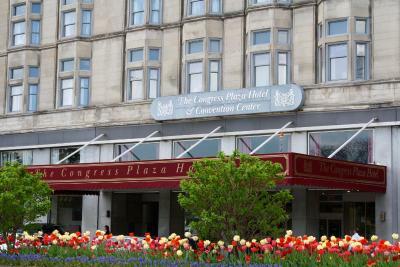 Hotel is in a great location, close to some good food options, transportation, and right across from the park. The king room was a good size and bright. There was a large closet and plenty of drawer space. The hotel's location was great. 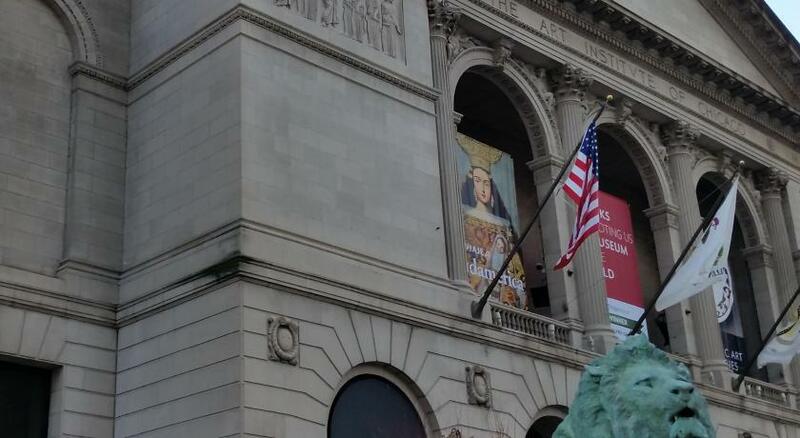 It's well within walking distance to the major museums, park, Navy Pier along the lake. 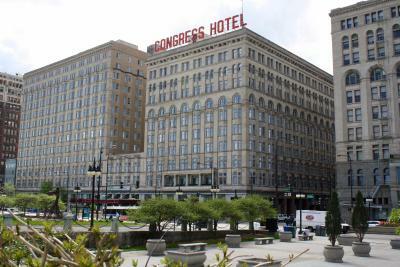 The hotel's history is amazing, as well as its haunted history. 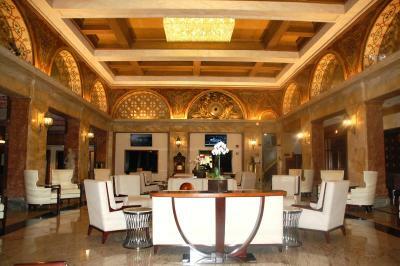 Excellent location near university center,art museum and historic monuments. 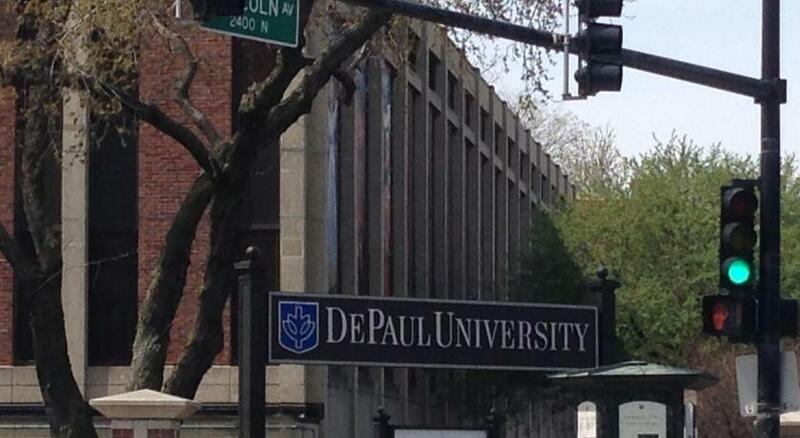 Easy walk to blue line to airport. Very old hotel clean but could use some upgrades. Food was great in breakfast buffet and priced affordable. I’d stay there again. 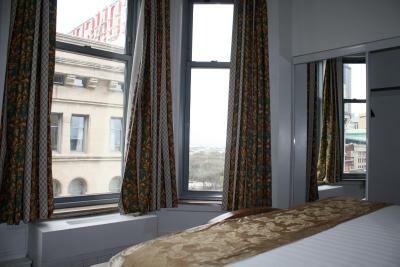 Pretty room and great location central to many things downtown, friendly staff. Right next to a beautiful park. 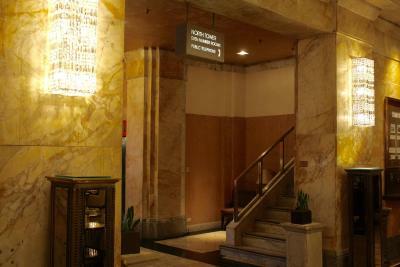 Loved the ease of booking, enjoyed the lobby and charming interior with lots of history. 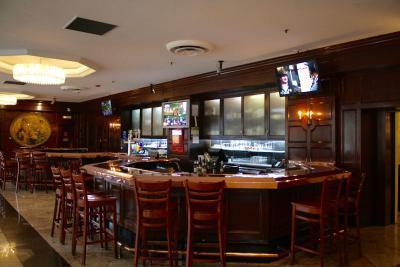 The bar staff was wonderful and accommodating. The consierge staff was really funny and friendly. Great experience. The location was excellent around everything. Very historic hotel. 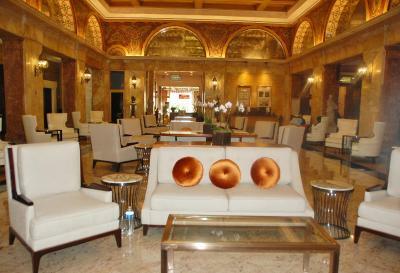 Gorgeous hotel in the perfect location for our Columbia visit. 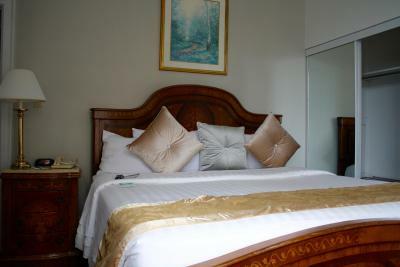 The location of the hotel is excellent, as it is within walking distance or a short ride to many restaurants and point of interest. 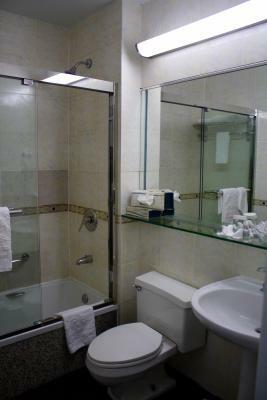 The hotel is older, but parts of the room, including the bathroom, had been updated recently. 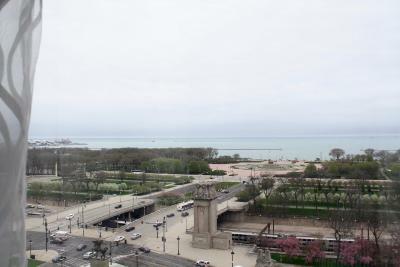 It was quiet and we had a gorgeous view of the park and Lake Michigan. The hotel also is reasonably priced. 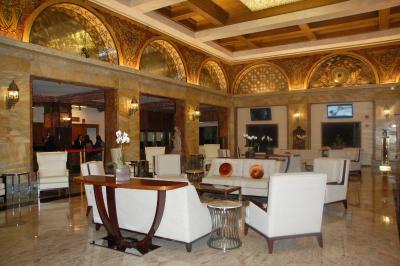 Congress Plaza Hotel Chicago This rating is a reflection of how the property compares to the industry standard when it comes to price, facilities and services available. It's based on a self-evaluation by the property. Use this rating to help choose your stay! 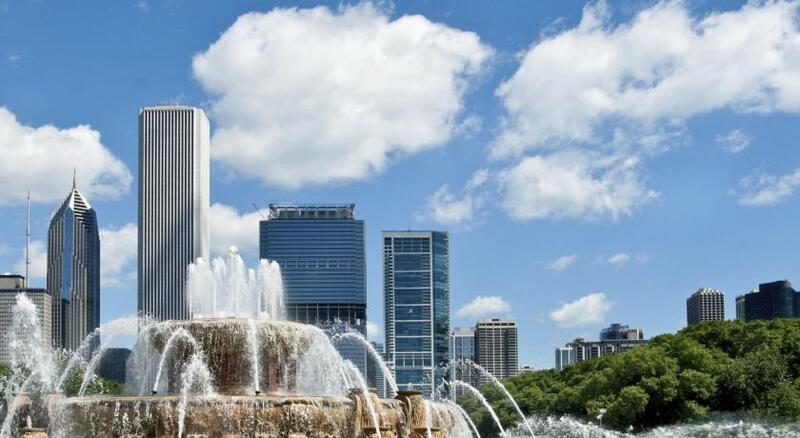 One of our top picks in Chicago.Directly across from Millennium Park and sitting on the iconic Michigan Avenue, Congress Plaza Hotel offers elegance, luxury, and history in the heart of downtown Chicago. 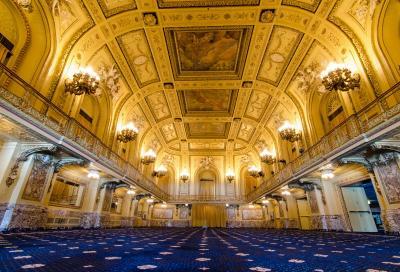 This historic Chicago hotel offers stunning city and lake views, on-site dining options, and free WiFi. Offering a mix of contemporary amenities and classic, historic character, each room at Congress Plaza Hotel features high ceilings, expansive bathrooms and a flat-screen cable TV. 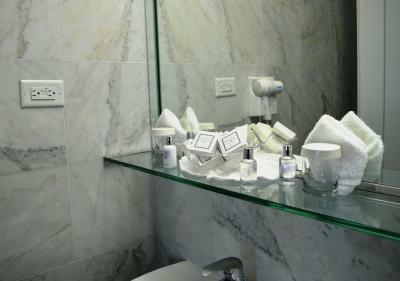 Coffee makers, working desks, and ironing facilities are provided in each room. 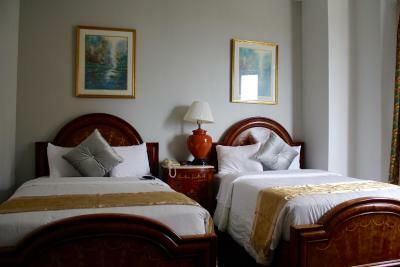 Some rooms offer separate living areas and family-friendly bedding layouts. 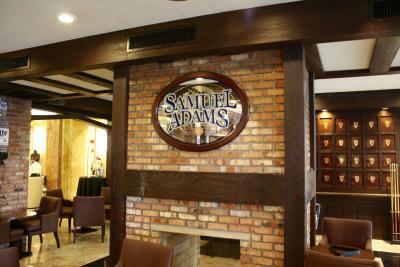 Rafael’s offers a menu of American classics, coupled with creative seasonal chef specialties for lunch and dinner. 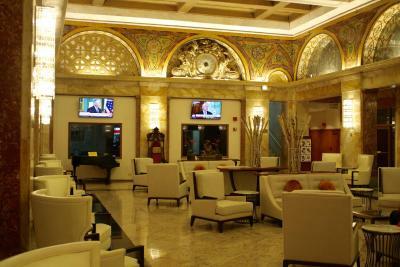 For breakfast, guests can start the day off with breakfast at Gazebo or grab a drink and watch a game on the flat-screen TVs at the Congress Lounge, which offers city views and comfortable leather couches and chairs. A 24-hour fitness center, barbershop and same-day dry cleaning and shoeshine services are available on-site. 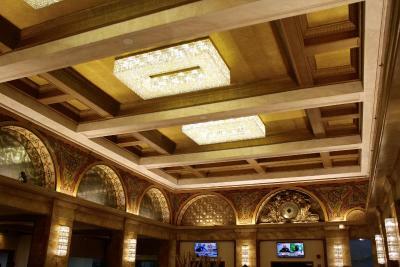 The hotel includes 23 contemporary venue event spaces, including the infamous Gold Room, dating back to early 1920's Chicago. 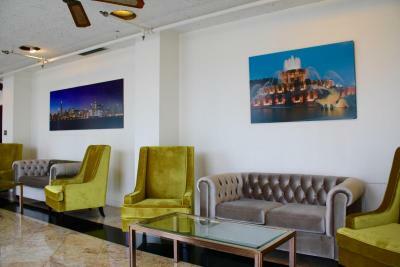 Room service, a business center, and multiple seating areas are also offered. 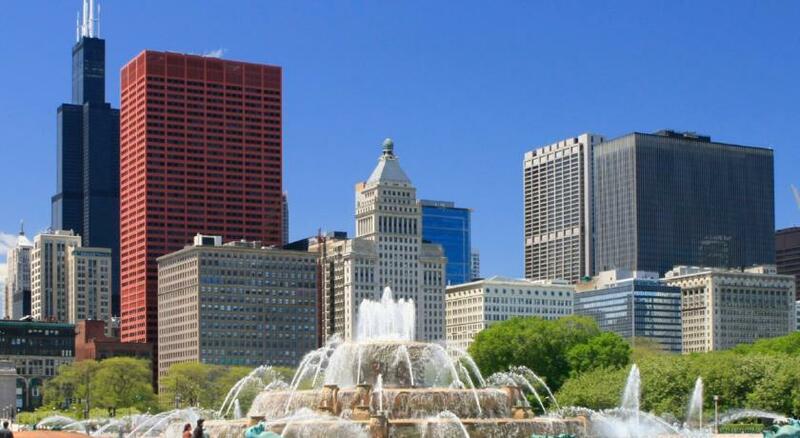 Congress Plaza Hotel is within walking distance from Chicago must-see attractions such as the Art Institute of Chicago, Buckingham Fountain, and Lake Michigan. 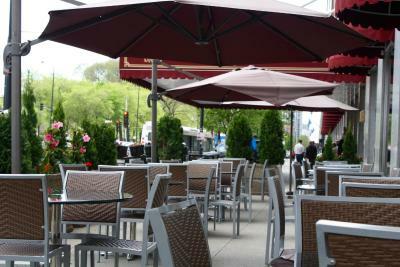 Shops, dining and entertainment on the Magnificent Mile is only 10 minute's walk. 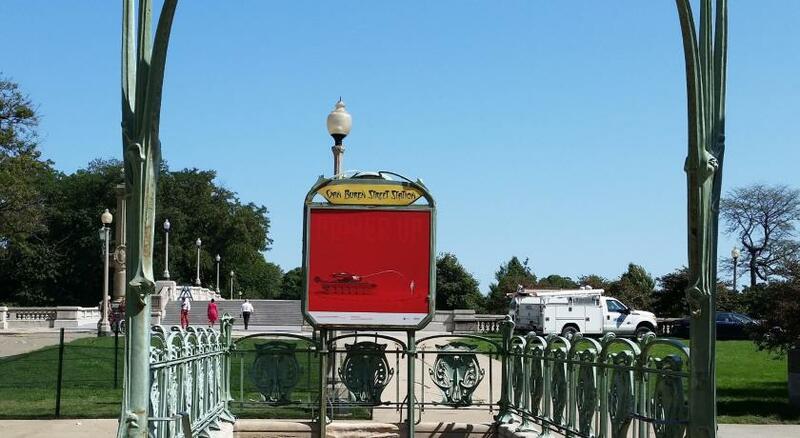 Navy Pier is only 2 miles away. 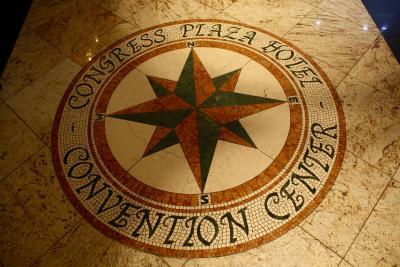 When would you like to stay at Congress Plaza Hotel Chicago? This room includes a decorative round table with two chairs and a coffee maker. 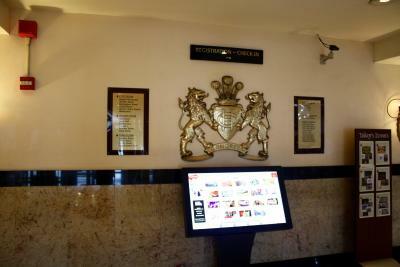 A flat-screen TV, working desk, and ironing facilities are also featured. 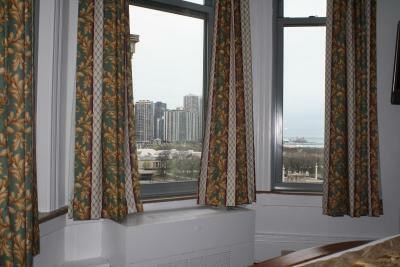 This room features views of Grant Park, Buckingham Fountain and Lake Michigan. 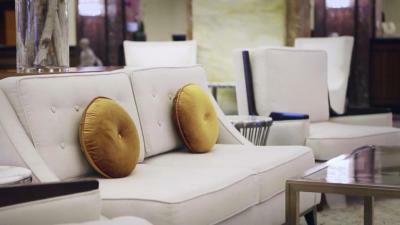 A decorative round table with two chairs and a coffee maker are also included. 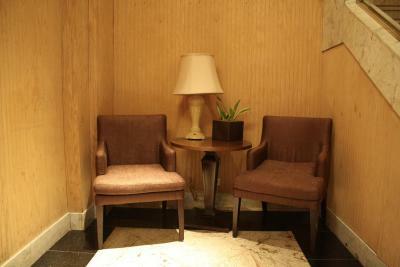 For convenience, a flat-screen TV, working desk, and ironing facilities are also provided. This room includes a decorative round table with two chairs and a coffee maker. 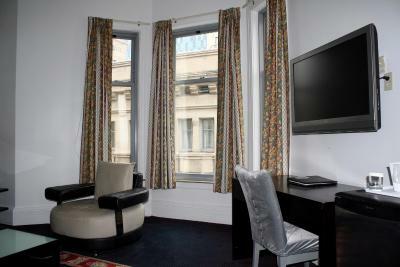 For convenience, a flat-screen TV, working desk, and ironing facilities are also provided. 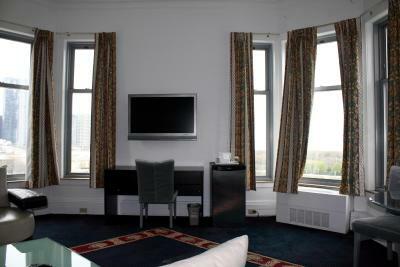 This room includes a view of Lake Michigan, a decorative round table with two chairs and a coffee maker. 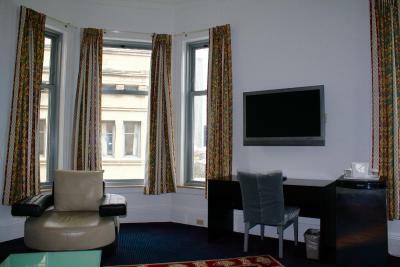 For convenience, a flat-screen TV, working desk, and ironing facilities are also provided. Featuring a large living room with a sofa and desk, this suite offers views of Lake Michigan. 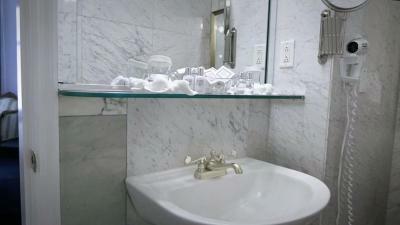 For convenience, a flat-screen TV, coffee maker, and ironing facilities are also provided. 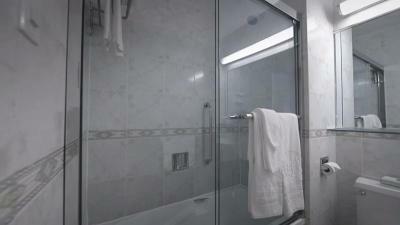 This two-bedroom suite features a flat-screen TV with cable channels in both bedrooms. 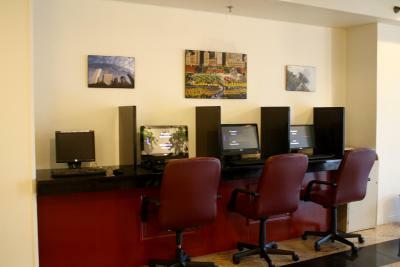 For convenience, a working desk, coffee maker, and ironing facilities are also provided. 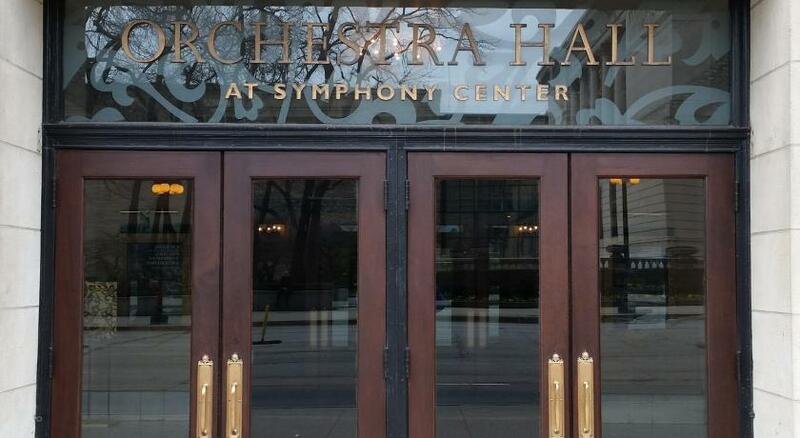 Please note that this suite does not offer a seating area. 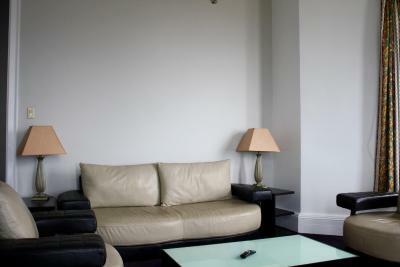 Featuring a large living room with a sofa and desk, this suite offers a view of Willis Tower. 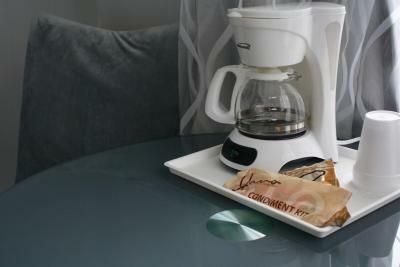 For convenience, a flat-screen TV, coffee maker, and ironing facilities are also provided. 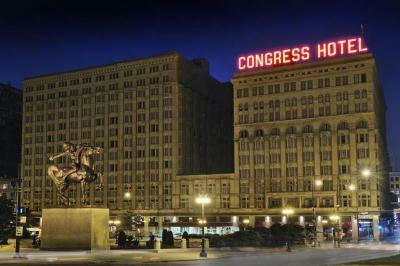 The Congress Plaza Hotel is a living and breathing Chicago landmark that has played host to presidents, celebrities, performers and foreign dignitaries for more than a century. 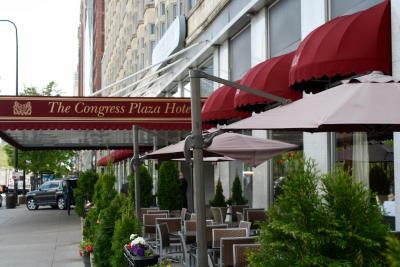 House Rules Congress Plaza Hotel Chicago takes special requests – add in the next step! 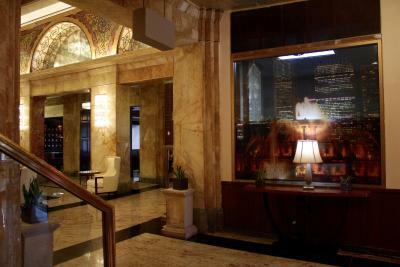 Congress Plaza Hotel Chicago accepts these cards and reserves the right to temporarily hold an amount prior to arrival. Please be advised that starting 1 February 2018, private parking will be offered for USD 44 per night. 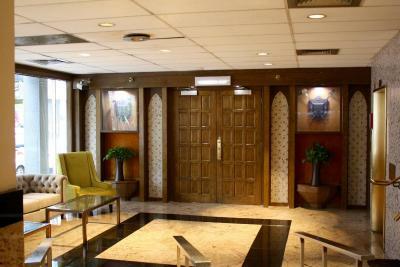 Valet parking will be offered for USD 49 per night. 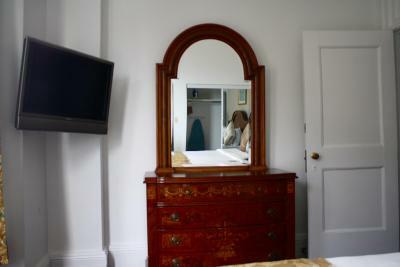 The total amount of the first night will be charged as a deposit at time of booking. Cancelations made within the allowed time frame will be refunded 100% of deposit. 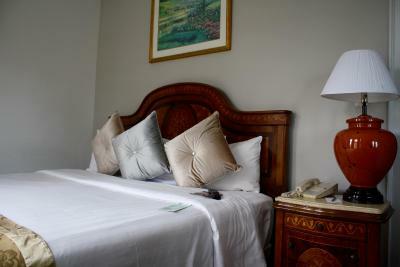 Please note that use of extra beds incurs a separate charge from extra guests in the room. Please contact the property directly for more information. 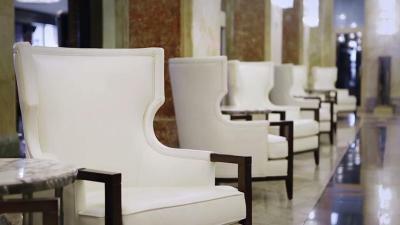 Refunds for canceled reservations are processed on the day of cancelation, availability of funds depends on the individual banks, and it may take up to 60 days. Great staff and amazing location I recommend it! You can't control the temperature of your room, my room was extremely hot and stuffy. Bed was extremely comfortable. Staff was very helpful and friendly. The room leaves you wanting. Mismatched and broken door handles, front door kept getting stuck, bathroom was very aged and broken in places. The TV was faulty and kept going very dark to the point it was almost unwatchable. It also took them a very long time to service the room (around 6pm). 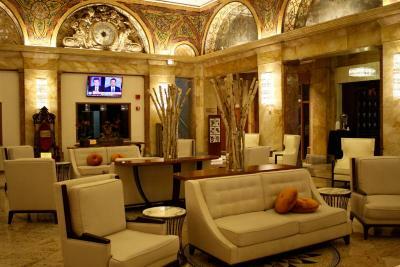 Fantastic location, amazing lobby, great bar and restaurant. Nice bed. Though the bellmen were helpful and available, service did not always come with a friendly smile. 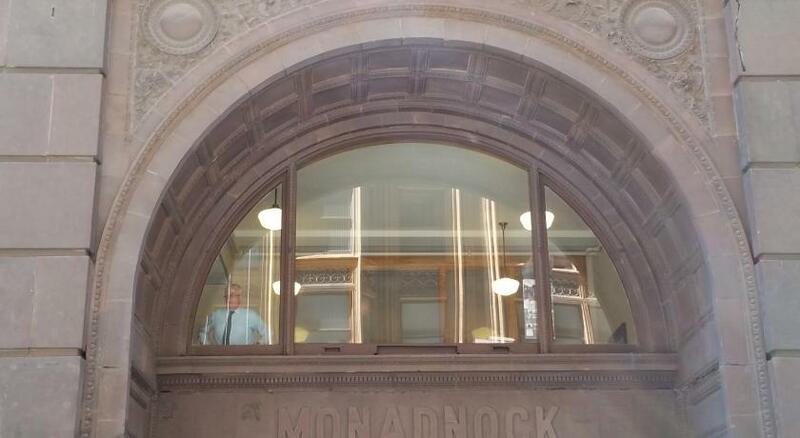 Staffer was brusque at the front desk. I can't remember if she even said hello or welcome or how can I help. I checked into my room first, with my brother standing next to me, and the staff person put us in two different towers (opposite ends) rather than in the same. While the room was bright with white paint and high ceilings, all of the caulking in the bathtub area had black mold spotted throughout. The toilet is older and you would have to jiggle the handle to stop the water fil. The faucet sink in my brother's room was loose and would wobble. The king room was a good size but could use a better desk set up. It was not comfortable space to set up a laptop to work. The television in my room was smaller than my home desktop monitor. 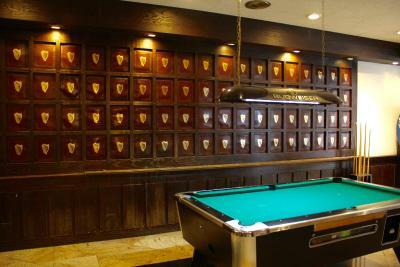 The bar staff seemed pretty overwhelmed many times and and seemed not to care. They obviously saw guests waiting longer than other to place an order and it didn't matter. Wifin fungerade uselt under helavistelsen. Front desk not that friendly and no AC other than low setting on thermostat. Breakfast was sub par for the cost.